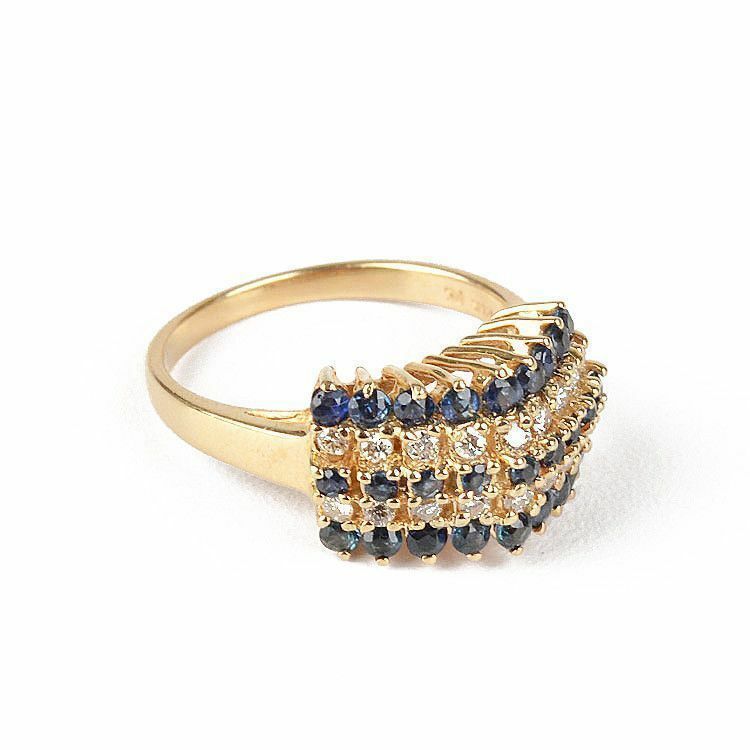 This sapphire and diamonds gemstone ring is an impressive display of many small stones lined up in a row. 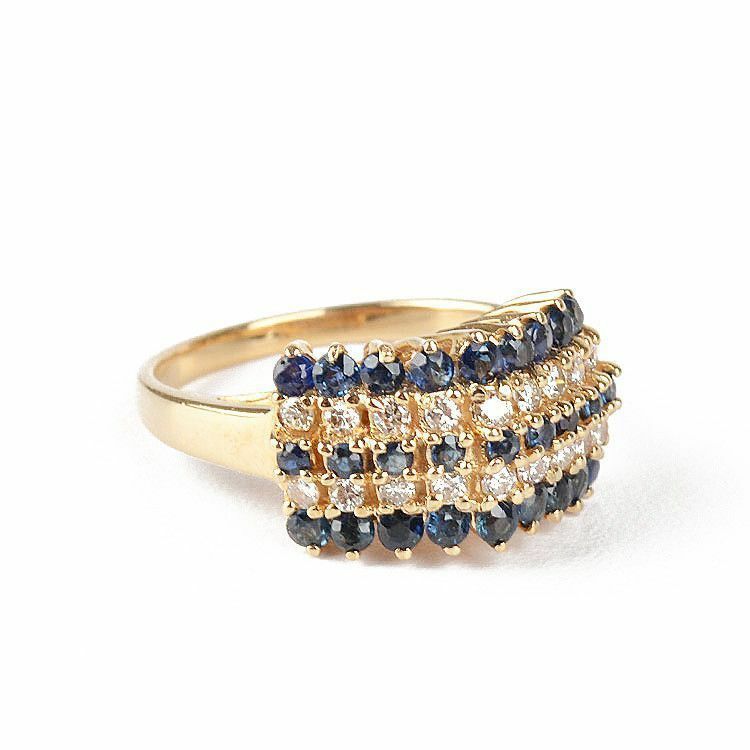 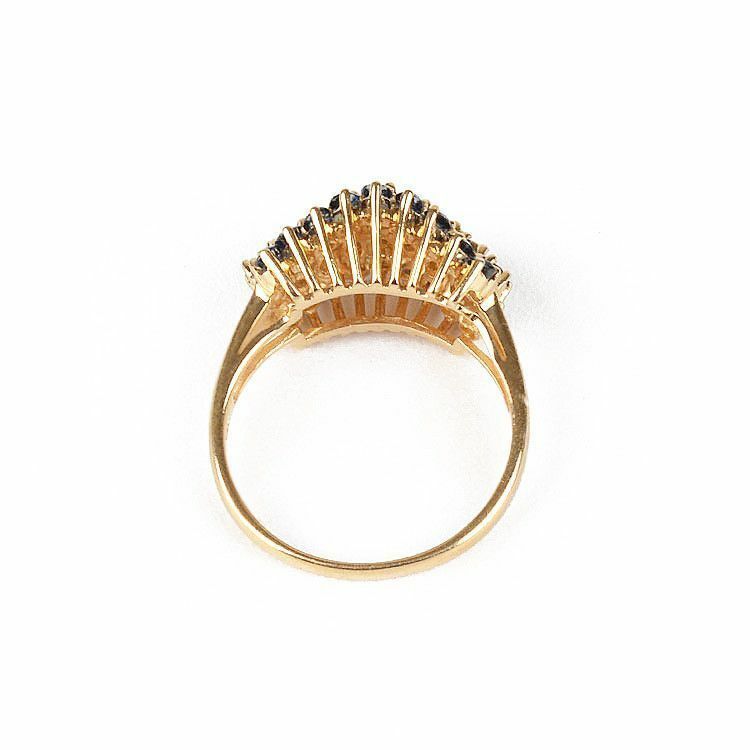 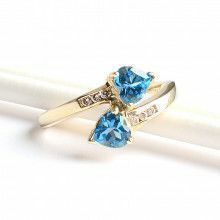 The size 7 ring was crafted with 14 karat yellow gold and genuine gems. 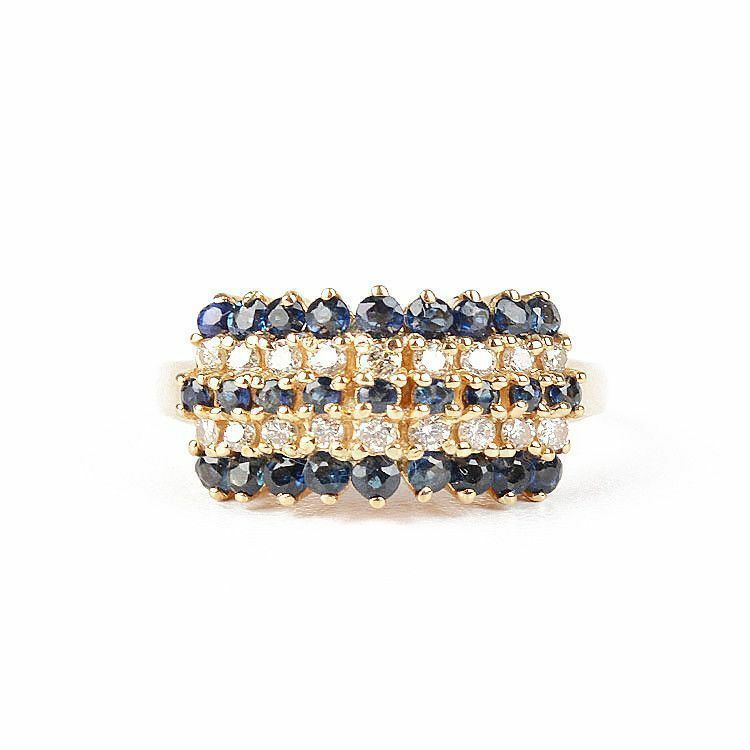 This ring sits quite high off the finger, about 5/16" high.